There was much speculation about who President Donald Trump would tap to lead the Department of the Interior and chief among that speculation was that Colorado hometown hero, David Bernhardt, would be the guy. 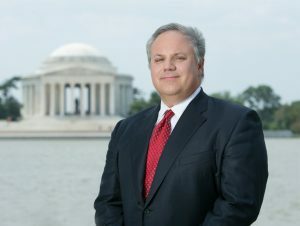 This afternoon, the President ended speculation and announced that Bernhardt will be his pick. Bernhardt will replace former Secretary of the Interior Ryan Zinke. Bernhardt was sworn in as Zinke’s deputy in 2017 and has been acting as the department’s head since the beginning of 2019, following Zinke’s resignation. We’re still laughing at the concept that the Endangered Species Act was one of the country’s best ideas. Maybe for environmental groups desperately seeking relevance. Either way, this sounds like a guy Colorado can get behind.